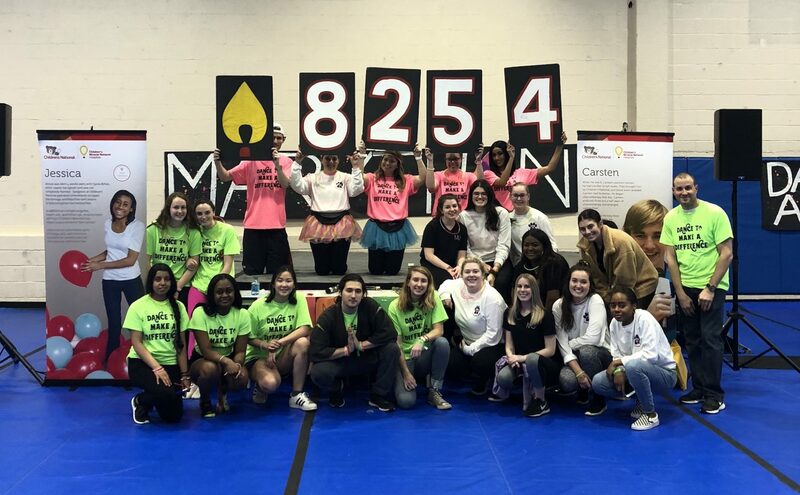 Through March 29-31, 41 collegiate and independent high school Dance Marathon programs hosted their annual events, resulting in a total of over $7.34 million raised #ForTheKids at local Children’s Miracle Network Hospitals! This weekend was the second highest fundraising weekend in Miracle Network Dance Marathon history. 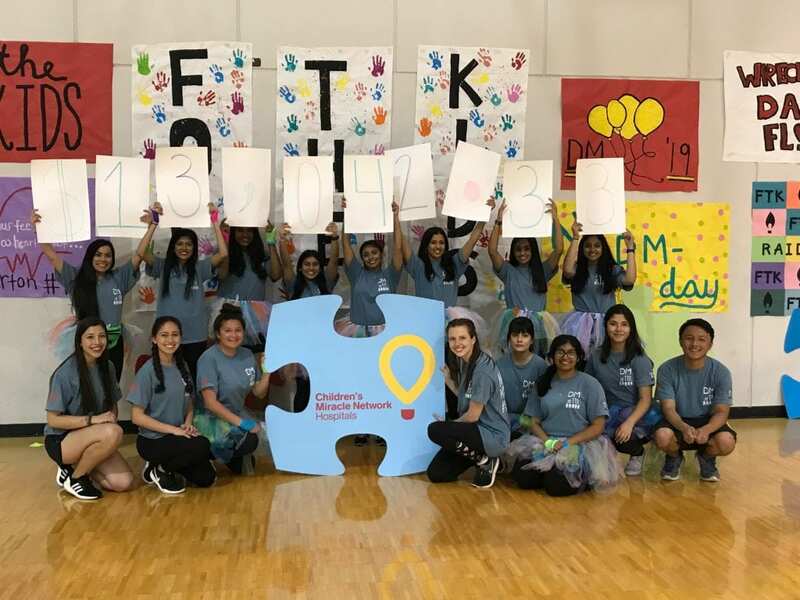 This brings the overall Miracle Network Dance Marathon fundraising total to over $30.5 million raised so far in 2019. Belmont Hill School’s Party with a Purpose benefits Boston Children’s Hospital in Boston, Massachusetts. Bishop Kenny Dance Marathon and Episcopal Dance Marathon hosted their second annual Dancing on the Boulevard event benefitting UF Health Jacksonville in Jacksonville, Florida. @episcopaldm and @bkdancemarathon hosted their second-annual Dancing on the Blvd event last night and raised more than $50k for @wolfsonchildren and #ufhealthjax! Boston University Dance Marathon benefits Boston Children’s Hospital in Boston, Massachusetts. Emmanuel College Dance Marathon benefits Boston Children’s Hospital in Boston, Massachusetts. Fernandina Beach Dance Marathon benefits UF Health Jacksonville in Jacksonville, Florida. FGCU Dance Marathon benefits Johns Hopkins All Children’s Hospital in St. Petersburg, Florida. WE DID IT!! A HUGE thank you to everyone who donated and participated! We dance for those who can’t, and it’s all #FTK!!!! Dance Marathon at Georgia State University benefits Children’s Healthcare of Atlanta in Atlanta, Georgia. Grand Valley State University’s Lakerthon benefits Helen DeVos Children’s Hospital in Grand Rapids, Michigan. Talbot Thon benefits UPMC Children’s Hospital of Pittsburgh in Pittsburgh, Pennsylvania. Indiana Wesleyan University Dance Marathon benefits Riley Hospital for Children in Indianapolis, Indiana. and that’s a wrap for IWUDM19! a huge THANK YOU to every single person that helped make this day possible – every dancer in attendance and every dollar donated. Yesterday we were able to celebrate the lives of the Riley kids who are currently fighting the fight, won the fight, or were not able to. IWUDM20 we’re coming for ya! Lander Miracle benefits GHS Children’s Hospital in Greenville, South Carolina. We are so blessed. Thank you to everyone that has supported us throughout our first year! We couldn’t have done it without you!! Dance Marathon at Louisiana State University benefits Our Lady of the Lake Children’s Hospital in Baton Rouge, Louisiana. @dmatlsu this year, raised more than 187, 000. 🎉🤩 We want to sincerely thank these amazing students for dancing their hearts out for our #AmazingKids! We ♥️ all the energy and fun they had for the past TWENTY hours. What an a amazing group! MaryTHON benefits Children’s National Health System in Washington, DC. Newton South Dance Marathon, hosted by the school’s Raise A Smile Club, benefits Boston Children’s Hospital in Boston, Massachusetts. TigerThon at North Allegheny High School benefits UPMC Children’s Hospital of Pittsburgh in Pittsburgh, Pennsylvania. GorillaThon benefits Freeman Health System in Joplin, Missouri. Ponte Vedra Dance Marathon benefits UF Health Jacksonville in Jacksonville, Florida. Riverview High School Dance Marathon benefits Johns Hopkins All Children’s Hospital in St. Petersburg, Florida. Saint Mary’s College Dance Marathon benefits Riley Hospital for Children in Indianapolis, Indiana. SMC DM is supported by students from Saint Mary’s College, Holy Cross College, and Notre Dame University. As of this morning our total was $173,331.87!!! Everyone at SMCDM is completely BLOWN AWAY by this number. THANK YOU THANK YOU to every donor, family member, friend, exec, committee member, dancer, and any one else who showed us support this year. We couldn’t have made this number possible without YOU! As always, FTK!!! Saint Ambrose University Dance Marathon benefits the University of Iowa Stead Family Children’s Hospital in Iowa City, Iowa. hawkTHON raised $1,780 benefitting Children’s National Health System in Washington, DC. TAMUK Dance Marathon benefits Driscoll Children’s Hospital in Corpus Christi, Texas. Raiderthon benefits UMC Children’s Hospital in Lubbock, Texas. TigerTHON at Towson University benefits Johns Hopkins Children’s Center in Baltimore, Maryland. University of Central Arkansas Dance Marathon benefits Arkansas Children’s Hospital in Little Rock, Arkansas. Knight-Thon benefits Arnold Palmer Hospital for Children in Orlando, Florida. Dance Marathon at the University of Florida hosted their 25th annual Dance Marathon event benefitting UF Health Shands Children’s Hospital in Gainesville, Florida. Their fundraising total makes DM at UF the second highest fundraising Miracle Network Dance Marathon program in the nation. No dream is too big #WhenWeBelieve. In our 25th year Dance Marathon at the University of Florida raised $3,230,025.23 For The Kids at UF Health Shands Children’s Hospital. We set forth to prove what can be accomplished when we believe in our potential to change the course of pediatric illnesses. We believed we could, and we did. IlliniThon benefits HSHS St. Johns Children’s Hospital in Springfield, Illinois. Pitt Dance Marathon benefits UPMC Children’s Hospital of Pittsburgh in Pittsburgh, Pennsylvania. RhodyTHON benefits Hasbro Children’s Hospital in Providence, Rhode Island. After shattering the Miracle Network Dance Marathon first-year fundraising record at their inaugural event in 2018 by raising over $147,000, RhodyTHON nearly doubled their fundraising total in their second year! USAO Droverthon benefits the Children’s Hospital Foundation in Oklahoma City, Oklahoma. We surpassed our goal! Thank YOU for supporting us and helping the kids of Oklahoma! Dance Marathon at the University of Utah hosted their inaugural Dance Marathon event benefitting Primary Children’s Hospital in Salt Lake City, Utah. HooThon benefits the University of Virginia Children’s Hospital in Charlottesville, Virginia. Over $65k #forthekids!!! Thank you, @hoothonatuva !!!!! RamTHON benefits the Children’s Hospital of Richmond at VCU in Richmond, Virginia. Walsh University Dance Marathon benefits Akron Children’s Hospital in Akron, Ohio. 12 hours later we did it!!!! Were so proud of every donor and participant for making this possible we surpassed our goal!! Can’t wait until next year!!!! #ftk A special thank you to our senior board members!!! Their commitment to this cause is truly inspiring!! 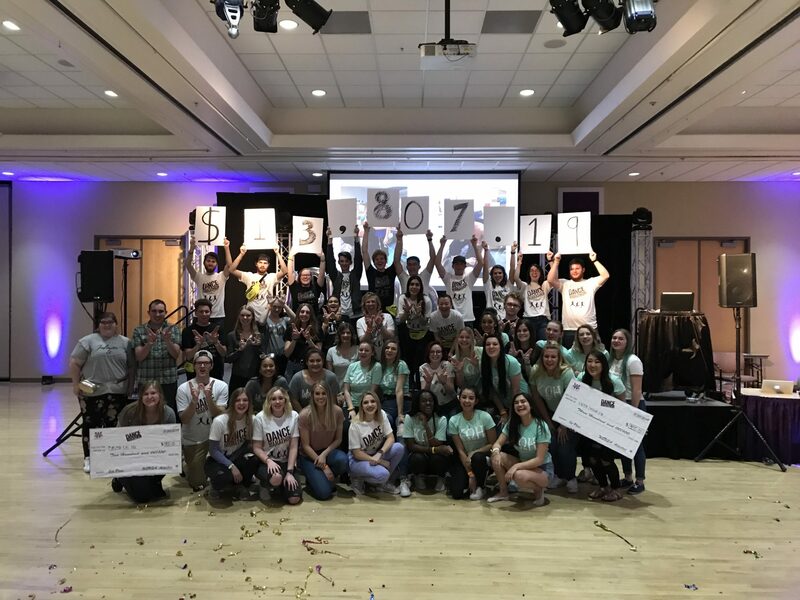 Dance Marathon at Weber State University benefits Primary Children’s Hospital Salt Lake City, Utah. Miracle at WCU benefits GHS Children’s Hospital in Greenville, South Carolina. Congrats WCU! We did it! Western Illinois University Dance Marathon benefits SSM Health Cardinal Glennon Children’s Hospital and St. Louis Children’s Hospital in St. Louis, Missouri. Dance Marathon at WMU benefits Helen DeVos Children’s Hospital in Grand Rapids, Michigan. Wyoming Seminary Dance Marathon benefits Geisinger Janet Weis Children’s Hospital in Danville, Pennsylvania. Next post: Celebrate National Autism Awareness Month!